Arrive at airport, meet and greet at the airport by our local representative, transfer to the hotel. Later in the evening at an optional cost - each Quai De La Bourdonnais,where you will board a Bateaux Parisians vessel for a delightful one-hour Seine River cruise. Enjoy commentary detailing the many historic bridges of Paris as you cruise. When the cruise terminates, visit the Eiffel Tower and enjoy a panoramic view of France's unforgettable capital. your guide will point out the principal landmarks of the city from the Tower's second floor observatory. At the end of the tour you may choose to explore the city on your own boat cruise along the Seine and take in Paris by night, Overnight at the hotel in Paris. DAY 2 - Paris - City Tour. After breakfast, Paris Tour Cityrama - Discover the beauty of Paris from the comfort of a double-decker coach. See the principal landmarks of this fashionable city, beginning with the Place des Pyramides and continuing to the Opéra, Place Vendôme, Concorde Square, Champs-Elysées Avenue, Arc de Triomphe, Eiffel Tower, Invalides, Orsay Museum, The Louvre, Notre-Dame Cathedral, Sorbonne, Pantheon Church and the Hotel Saint-Germain-des-Prés, in the heart of the Latin Quarter. Overnight at the Hotel in Paris. DAY 3 - Full Day Excursion to Euro Disney. After a buffet breakfast at the hotel, set out to experience the Disney Magic as you visit Eurodisney where dreams come to life. Experience a super-fun, stress-free adventure that will fill your days with enough magic to last forever. Enjoy the many rides on offer at the park (all included) Or, you can visit the amazing Walt Disney Studio – the magical world of cinema and television, featuring thrilling attractions and spectacular shows. Go behind the magic on the Studio Tram Tour and discover the secrets of how movies and television shows are made. Also, be amazed by the dare devils in the thrilling Stunt Show. Overnight at the hotel in Paris. 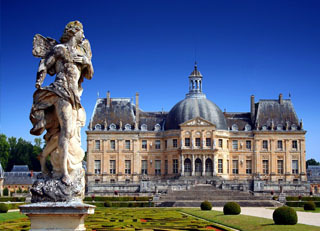 After a buffet breakfast at the hotel, visit the Chateau De Versailles. Retrace the history of this magnificent chateau with the guide. You will have a one-hour guided visit in particular the Great Apartments - The Queen's Bedroom, the great Apartments, the Hall of Mirros and the Gallery of Battles. Throughout your visit, the guide will furnish you with the history of this magical place. You will also see some traces of Le Brun, Louis XIV's favourite painter. Portraits of the former residents can also be found throughout the chateau. Do take advantage of some remaining time to room the "A la Francaise" gardens. At the end of the visit, our guide will drive you back to your accommodation in Paris. Overnight at the Hotel in Paris. DAY 5 - Day Free for shopping. After breakfast, explore Paris at your own pace with the Paris one-day Hop On & Hop Off pass - visit hublot replica the Montparnasse Tower, visit Grevin Museum, Cineaqua are some of the must visit attractions in paris (entrance not included), later this afternoon you could spend time at any of the great shopping malls like the Printemps or the Galleries Lafayette for the best lifestyle products that they have to offer. Evening you can enjoy the dinner show at the Lido or Moulin Rouge at an optional rate. Overnight at the hotel in Paris. 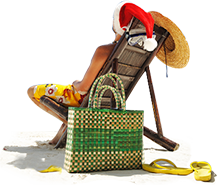 After breakfast, check out of the hotel and transfer to the airport for your return flight.